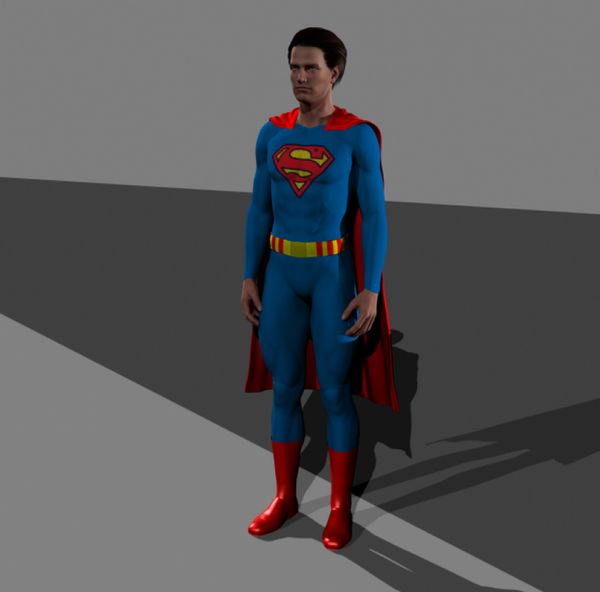 This is a material and texture set to turn the SuperSuit, SuperBoots and Superbelt into a Superman costume. funkmastahgdawg7 (4 years ago) Inappropriate? daniel181 (6 years ago) Inappropriate? Doesn't seem to work, keeps asking for some jpg textures files, where can i find these? they are not in the zi. AuroraMoon (7 years ago) Inappropriate? I didn't provide a material for the supercape cause the uploader didn't provide any directory structure, so I just loaded it on the cape.